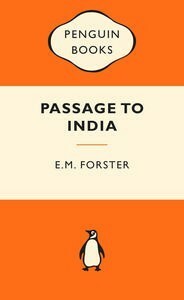 The next Pageturners meeting to be held on Wednesday 8 July will be to chat about A Passage to India by E.M Forster. When Adela and her elderly companion Mrs Moore arrive in the Indian town of Chandrapore, they quickly feel trapped by its insular and prejudiced British community. Determined to explore the ‘real India’, they seek the guidance of the charming and mercurial Dr Aziz, a cultivated Indian Muslim. But a mysterious incident occurs while they are exploring the Marabar caves with Aziz, and the well-respected doctor soon finds himself at the centre of a scandal that rouses violent passions among both the British and their Indian subjects. A masterly portrait of a society in the grip of imperialism, A Passage to India compellingly depicts the fate of individuals caught between the great political and cultural conflicts of the modern world. I will be re-visiting this classic that I studied at school oh so many years ago. I wonder how I might see it as a mature age reader?